Description: One of the names for this antique block is Chimney Sweep. 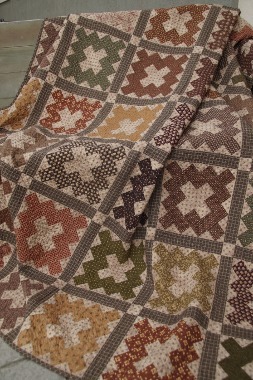 The cover quilt was made with reproduction fabrics that make this quilt an instant antique. The Chimney Sweep block would look great in many other colors as well.